Crossville, TN, January 08, 2019 --(PR.com)-- Ruby H. Hernandez of Crossville, Tennessee has been chosen as the Woman of the Year for 2019 by P.O.W.E.R. (Professional Organization of Women of Excellence Recognized) for her outstanding achievements and high level of success in the field of education. This powerful woman is an extraordinary leader. She is passionate and driven in her profession as well as her charitable and community efforts. Her dedication and determination empowers those around her to succeed to be their very best. Ruby H. Hernandez has over 40 years experience in the education field. 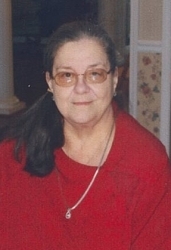 Currently retired, she was a 3rd grade teacher and mentor for Crossville Elementary School in Crossville, Tennessee. She taught all 3rd grade core curriculum. Ruby also served as a teacher mentor for new teachers. She is an expert within third grade curriculum and standards. Being a mentor to younger teachers ensured that a new generation of teachers learned from someone who truly loved her job and wanted to pass that love of education on to others. She exemplifies what it means to be a teacher. Mrs. Hernandez has served on a variety of committees to better the school. She served on the Cumberland County Absentee Counting Board and was the County 3rd grade Chairperson. She created the 3rd grade cursive writing program for Cumberland County and served on the committee for the new principal. Born on March 17, 1950 in Monterey, Tennessee, Ruby obtained a B.S. in 1972 and a M.S. in 1975 from Middle Tennessee State University. She obtained her Ed.S. from Tennessee Tech in 1981 and is a Certified Elementary Counselor since 1975. She was awarded Cumberland County Teacher of the Year (1-4) in 1985. Mrs. Hernandez is a Past President of Delta Kappa Gamma, Xi State Chapter. She is affiliated with the Cumberland County Education System, the National Education Association and the Tennessee Education Association. Ruby married William on October 19, 2002. In her retirement she enjoys cross stitching, reading and her Kindle.